Police and local youths collecting waste from the main road at Shreepur, Birgunj. 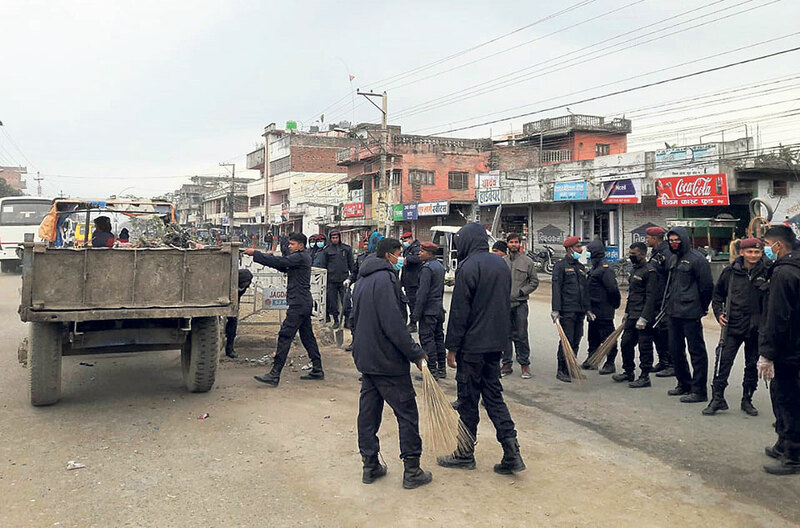 BIRGUNJ, Jan 8: As the officials of the Birgunj Metropolitan City have been staging protests by boycotting their work for the past five days, police with the help of local youths collected the garbage piled in various places on Monday. As even the staffers of the municipality's waste management department have joined the protests, the garbage dumped in various parts of the city had started releasing bad odor. A police team went to various places of the metropolis with the tractor used for collecting waste. 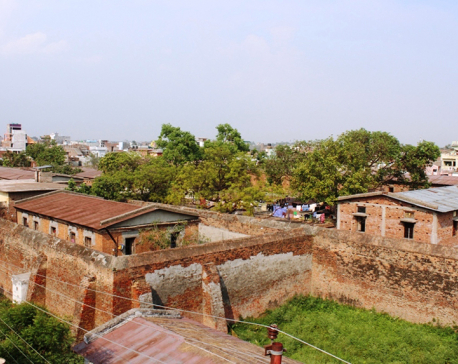 Later, they were joined by the youths of various organizations such as Byabasthit Birgunj, Green City among others who removed garbage from various places. Expressing disappointment over the recent civil servant adjustment plan floated by the Ministry of Federal Affairs and General Administration, the officials of the metropolis have been protesting for the past few days. 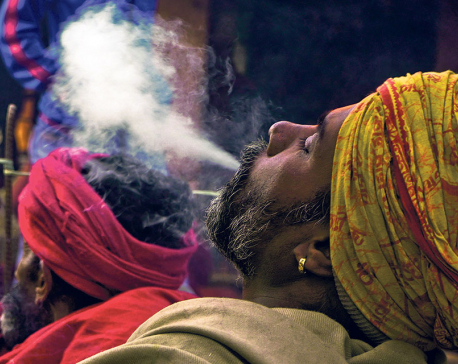 They lament that the ministry has widely neglected the staffers of the local units in its adjustment plan. They began the protest last Thursday. This has badly affected the work and services of the local unit, leaving the service seekers struggling for services. Municipal Association of Nepal and Nepal Municipal Employees Association (NMEA), Birgunj had declared the indefinite protest. Though the police and youths as of now have solved the waste management problem of the locals, a long term solution is yet to be found. 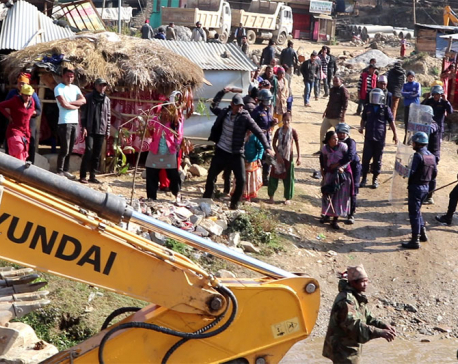 "We collected the waste as those places needed a clean-up," said Police Inspector of Parsa, Rewati Dhakal, adding, "We have received positive response from the people." Meanwhile, Mukesh Gupta, chairperson of NMEA, accused the mayor and chief district officer of taking their protests casually. A board meeting of the metropolis was held on Monday to discuss the protests which have been affecting the services provided by the local unit. The meeting formed a five-member discussion committee including four ward chiefs to find a permanent solution to the ongoing problem.